Dóris de Hilster, a Brazilian and native of Rio de Janeiro, is a natural-born clothes and costume designer. Dóris’ clothes and costumes have been featured and seen all over the world including the 2010 Rose Parade, the Latin Grammys, Dancing with the Stars (2 times), in the Rio Sambadrome in Brazil in the year 2000, and in front of celebrities including all the Fondas at Bridget Fonda’s wedding, and Carl Lewis’ 45 birthday party to name a few. Her costumes have even adorned dancers in super-bowl and honda commercials. Doris de Hilster, Rio native and clothes designer is now in Southern Florida. This lover of all things fashion first displayed her talent for clothes in a small store in Copacabana Beach in Rio. Her ability to spot the trends and what would be hot and what would not, attracted the attention of the owner who relied on Doris to make major purchase decisions. In 1989, Doris married American David de Hilster and moved to Los Angeles. There In 1992, Doris opened the doors to her first store and her first label: Samba Collection. First located in an artist loft in Long Beach, she soon moved her store to the main street in the heart of downtown where her fashions were recognized by many appreciative customers. She then moved her store to the Long Beach Mall. During this same time In 1995, she entered the world of the internet where her talent went worldwide. 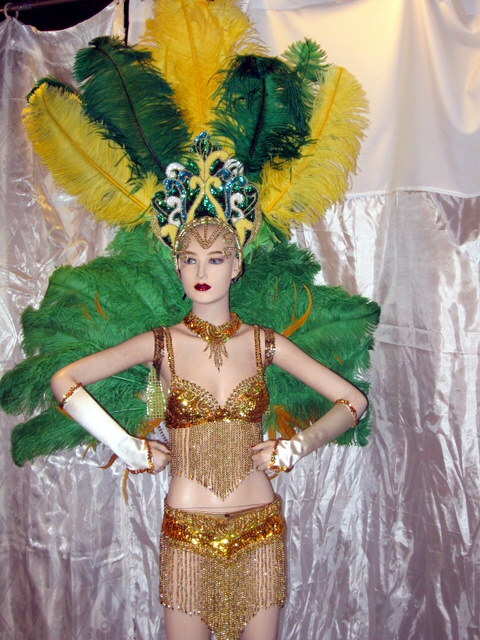 Being a clothes designer, it was a natural for Doris to start making costumes for the samba group SambaLa’ Samba School started by her husband. 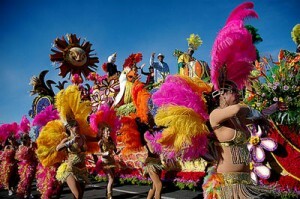 Soon, it was apparent that her talent for design easily made the transition to the colorful costumes of Brazilian Carnaval. 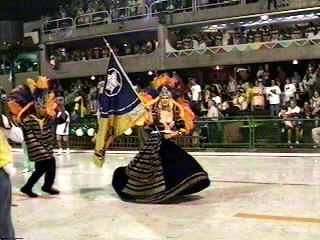 Doris’ costumes were also displayed on the biggest samba stage of them all: Rio’s famous Sambadrome during Carnaval 2000. Her mestre-sala porta-bandeira (ballroom master and flag-bearer) costume were on display for over 20 million Brazilians to see.